Ever since I tried my grandmother’s rhubarb salad as a child, I’ve been hooked. I love rhubarb! The problem is it is difficult to find good recipes for rhubarb. Fast forward to today! 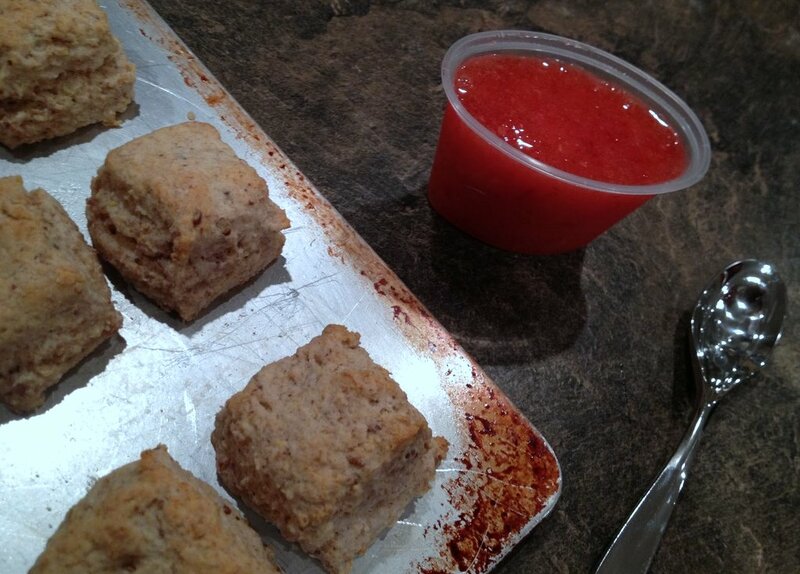 I tried combining a couple rhubarb jam recipes–and using what I had on hand–to create this tasty freezer jam! I must admit, I was skeptical that all these disparate flavors–apricot, pineapple, rhubarb, and orange–could combine and actually taste good. It tastes like a fruity compote! In honor of this jam, take a listen to the incredible Ella Fitzgerald singing “C-Jam Blues” live. 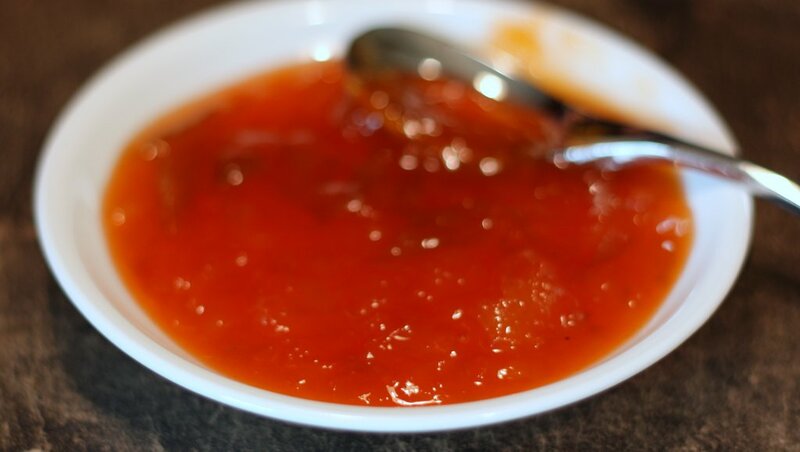 Cut canned apricots into small pieces. Set aside. Put rhubarb, sugar, Truvia®, and pineapple in large, heavy sauce pan over medium heat. Stir constantly for 10 minutes. Add Solo® Apricot Cake and Pastry Filling. Reduce by simmering for 90 minutes, stirring occasionally to ensure pineapple does not stick to the bottom of the pan. Bring to a boil. Add gelatin dessert. Stir for one minute. Remove from heat. Let cool for an hour. Put into clean freezer containers with lids. Let jam set on counter shelf for 4 hours before putting into the freezer. Allow jam to sit for 20 minutes after removing from freezer before removing lid and eating.